Studies confirm that African elephants, once thought to be a single species, are actually two distinct species: savannah elephants and forest elephants. The two elephants differ in size, and diet but will share the same fate if we don’t stop the poaching crisis in Africa. Every day, poachers gun down or trap dozens of elephants to support the ivory trade. It's driving both species to extinction. Yet the U.S. 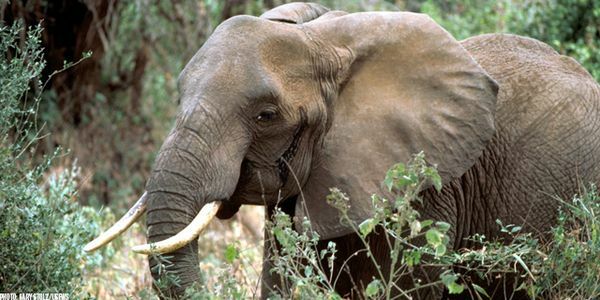 Fish and Wildlife Service classifies all African elephants as one species, protected only with "threatened" status under the Endangered Species Act. This lesser status allows for the trade of certain ivory products and elephant parts in the United States. Reclassifying Africa's savannah and forest elephants as distinct species, and granting them both maximum protection under the Endangered Species Act, would signal that the United States is clamping down on our own domestic ivory trade. Take action now -- urge the Service to reclassify savannah and forest elephants as separate species and afford them both "endangered" status. I'm writing to urge you to give all African elephants the full protection of the Endangered Species Act by acknowledging that, as recent genetic studies have proven, there are actually two distinct species of African elephants -- savannah and forest -- and granting both species "endangered" status under the Act. As you well know, both species of African elephants are being driven to the brink of extinction by poaching, civil unrest and habitat degradation. Forest elephants have declined by 65 percent, and poachers are ruthlessly slaughtering both species to the brink of extinction. The U.S. Fish and Wildlife Service has made important strides in elephant conservation by restricting ivory trade, but it needs to take one step further by listing both elephant species as endangered, affording them the full protection of the Endangered Species Act which prohibits trade in their parts. I urge you to take immediate action to protect ALL of Africa's elephants by first acknowledging that they are, in fact, two distinct species evolved over millions of years to thrive in very different environments and then by listing both species as "endangered." Any delay in these actions could result in the disappearance from the Earth of these incredible animals.